Earn points with each order My Rewards=Free Wigs! Shop Other Items Left menu has other departments too! We offer eyebrows, eyelashes, mustaches, beards, sideburns and more. 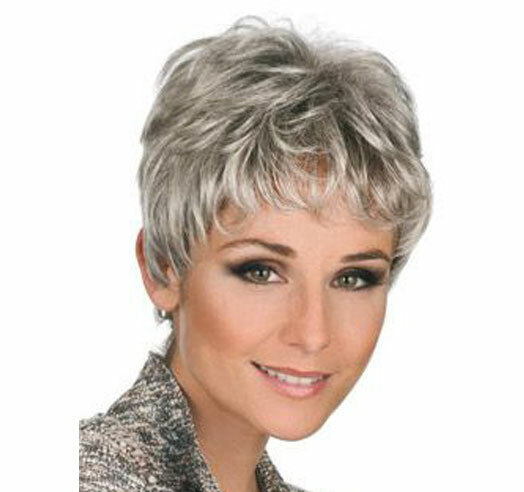 Many of our wigs are made in a variety of Gray colors. Found an item on our site you like, but cheaper elsewhere? Take advantage of our Daily Steal! Wigs & Hairpieces Make a statement without the commitment! With the absolute largest selection of wigs, hairpieces, clip-in hair extensions, wig care products, wig making supplies, and more, International Wigs offers overnight shipping, along with two and three day air. If you need a wig tomorrow, we can get it to you, no worry. Email or call us with your wig needs and we will find a solution for you. Checkout some of our favorite styles above! Thousands of wigs to choose from, with wig prices you can enjoy!